On June 8th, the Casimir PhD Platform/aka our fantastic Spring School 2016 co-organizers successfully completed the Escape Room Challenge in Delft. This was the last Casimir event for PhD Platform members Julia Cramer and Bob van Waarde, who soon will be defending their PhD theses. Bob has been on board since January 2013, Julia joined our Platform in August 2014. Also on behalf of Casimir director Tjerk Oosterkamp, Casimir coordinator Marije Boonstra thanked Bob en Julia for their contribution to the success of our research school over the past years. Bob's successor will be Koen Schakenraad. 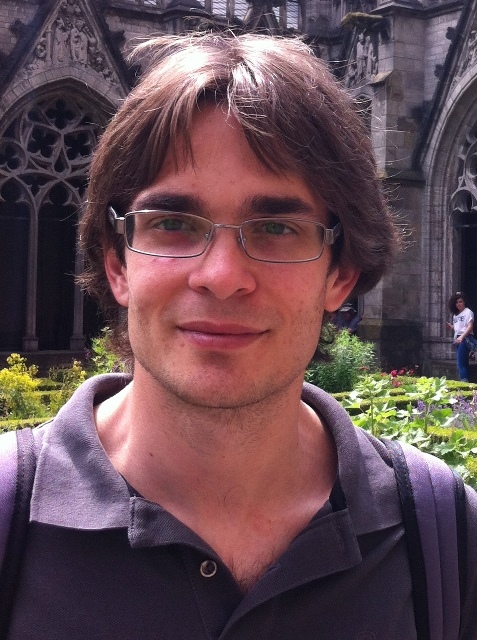 Koen is working on a combined PhD project: he works both in the Soft & Bio Mechanics group at Instituut Lorentz under supervision of Luca Giomi, as well as in the Mathematical Biology group of Roeland Merks at the Leiden Mathematical Institute. Koen studies the mechanics of biological cells. Koen obtained his MSc degree in Applied Physics at Eindhoven University of Technology, the Netherlands. Marios Kounalakis will take over from Julia. Before moving to Leiden University to start in the Casimir Pre-PhD track, Marios did his BSc studies in Athens and obtained an MSc degree in Particle Physics from Paris Diderot University. In the group of Leo DiCarlo at Delft University of Technology, Marios works on his project 'Quantum Simulation of Gauge Theories in Circuit QED' a project of highly interdisciplinary nature, as it brings together quantum engineering with applied and fundamental physics. The six Casimir PhD Platform members meet about four times per year with the Casimir scientific director and coordinator to discuss the Casimir Courses and to plan activities for their fellow PhD students and postdocs, like the Casimir Spring School. Do you have ideas that the PhD Platform can bring up to improve our research school, or do you have questions about Casimir? Orkide, Gesa, Sara, Floris, Koen and Marios are happy to help you out. Click here for their contact information.